My academic history is interrelated with my visual art and curating career. Many of my research projects have stemmed from the development of practice based research projects, which have accumulated in assessing how an artistic or curated project works out in the public sphere. 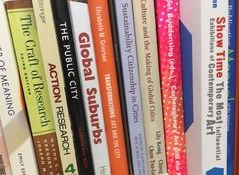 Most recently my research interests are focused on the role participating in the arts can play in contributing towards the inclusive city, particularly in the climate of increasingly intercultural global cities. Meridians: Shanghai 2010 - Art and Sound in Public Space Project - Shanghai, China, Curator, satellite exhibition of the Australian Pavilion, Victorian Cultural Contribution, Shanghai World Expo, funded by the Australian International Cultural Council, Victorian Department of Innovation, Industry & Trade & Australia China Council, May 2009-10. Hulbert, T.W (2018) 'Curating Inclusive Cities through Food and Art', Multimodal Technologies Interact, 2, 44. 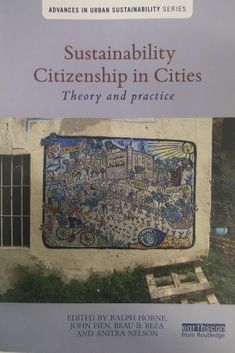 Hulbert, T. W (2017) Applying the Creative City: Curating Art in Urban Spaces. In E. M. Grierson (Ed.) Transformations, Art and the City, UK: Intellect. Hogg, G. & Wong. T. (2011) Curating as Activism, In D. Forrest (Ed. ), Curator in the Academy (pp.67-80). Melbourne: Australian Scholarly Publishing. Wong, T. (2011) Here Today Gone Tomorrow. Public Art Review, 42, 28-31.